Curating a Case for the Arts. 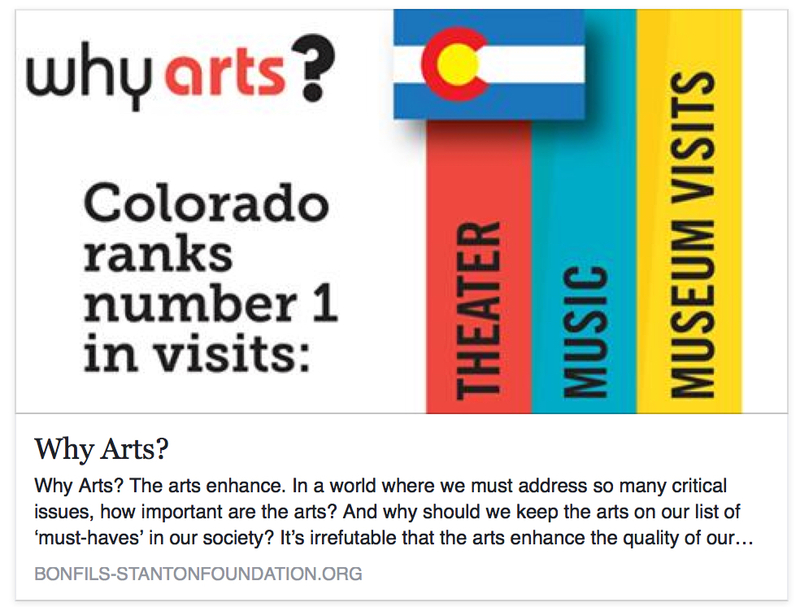 Launch recently helped the Bonfils-Stanton Foundation answer the question, “Why Arts?” Bonfils-Stanton is now directing 100% of their grantmaking resources into the arts. We created a new section on their website to explore how the arts improve our economy, the education of our youth, as well as our collective health and environment. As it’s been said before, Earth without Art, is just “eh.” View more of our work for Bonfils-Stanton Foundation.